A: If you have accrued more than 180 days of unlawful presence in the United States, you are subject to a 3-year bar preventing you from being re-admitted to the United States under the Immigration and Nationality Action Section §212(a)(9)(B)(i)(I). The bar is triggered once you have departed the United States. If you have accrued one year or more of unlawful presence in the United States, you are subject to a 10-year bar preventing you from being re-admitted to the United States under §212(a)(9)(B)(i)(II). If upon your entry to the United States, you were not inspected, admitted, or paroled by a U.S. Customs Official, then you are ineligible to adjust your status to lawful permanent resident (LPR) within the United States, even if you have an approved visa petition. This means that in order to legalize your status, you are required to depart the United States and apply for an immigrant visa at a United States embassy or consulate abroad. Your departure from the United States will then trigger a 3- or 10-year bar to readmission, preventing you from returning to the United States, depending on the amount of “unlawful presence” you accrued prior to your departure. There are ways to waive these 3- and 10-year bars to readmission only if you can demonstrate that your refusal of admission to the United States would cause an “extreme hardship” to your U.S. Citizen immediate relative or Legal Permanent Resident spouse or parent. Q: Can I apply for the provisional waiver if I was previously deported, removed, or excluded from the United States? If you received a final order of removal, deportation, or exclusion you may apply for a provisional waiver of unlawful presence, however you must first apply for the I-212 Application for Permission to Reapply for Admission into the United States After Deportation or Removal, and the application must be conditionally approved. If ICE or CBP has reinstated a prior removal order under 8 CFR §241.8, before filing of the provisional waiver application or while the application is in process, you are no longer eligible to receive a provisional waiver of unlawful presence. A provisional waiver approval would be automatically revoked if the applicant is found inadmissible under INA §212(a)(9)(C) for unlawful return to the United States after prior removal or prior unlawful presence. Q: What Is a Provisional Waiver and How Is It Different from a Regular Waiver? A: Prior to the implementation of the provisional waiver, applicants with inadmissibility issues could only apply for a waiver of unlawful presence by filing the I-601 Application for Waiver of Grounds of Inadmissibility, and only once the consular official discovered the inadmissibility during the applicant’s visa interview. It was not until 2013 that the “provisional waiver” option became available (I-601A) when consular/embassy officials recognized that separating American families often constituted an extreme hardship to the U.S. Citizen/LPR family member. Due to this, USCIS handed down a final rule enforcing the provisional waiver (I-601A), that would allow an applicant subject to a 3- or 10-year bar to gain “provisional” approval of their unlawful presence waiver before departing the United States for their immigrant visa interview. This process would prevent families from being separated for long periods of time as is the case with the I-601 waiver. Q: How long does issuance of an immigrant visa take once the provisional waiver is approved? A: On average a person may remain outside of the United States for up to 2 weeks waiting for issuance of their immigrant visa, once the provisional waiver has been approved. Q: Who Can Apply for a Provisional Waiver? A: Old Rule: In 2013, the provisional waiver was limited to immediate relatives (spouses, children, and parents) of U.S. Citizens. New Rule: Under the new rule, anyone who is statutorily eligible for an unlawful presence waiver under INA §212(a)(9)(B)(v), may apply for a “provisional” waiver, regardless of their immigrant visa classification. 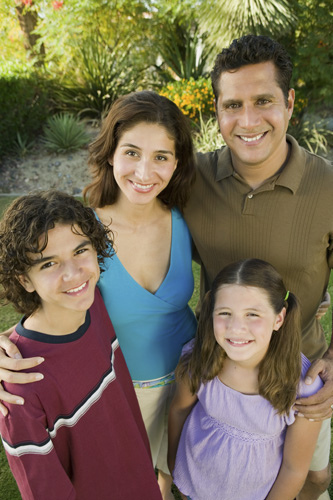 As long as you can demonstrate extreme hardship to a U.S. Citizen or LPR spouse or parent, you may apply for a provisional waiver of unlawful presence regardless of whether you are applying for an immigrant visa based on employment, family sponsorship, diversity visa lottery, or other special immigrant classification (asylum, U visa, etc.). Q: When Does the 2016 Rule Become Effective? Will a New Form Be Released? A: The 2016 rule is effective August 29, 2016. Changes to Form I-601A, Application for Provisional Unlawful Presence Waiver, will be made and a new form will become available on August 29, 2016. Q: What Will Happen to the “Reason to Believe” Standard? A: The 2016 rule will eliminate the “reason to believe” standard. Under 8 CFR §212.7(e)(4)(i) of the law, USCIS was previously required to deny a provisional waiver application if they had “reason to believe” an individual might be subject to any additional ground of inadmissibility other than the accrual of unlawful presence at the time of the immigrant visa interview. The “reason to believe” standard will be eliminated from the provisional waiver adjudication process beginning August 29, 2016. USCIS will only consider whether the “extreme hardship” standard has been demonstrated and whether the waiver application should receive a favorable exercise of discretion. Applicants should note that although the “reason to believe” standard will be vacated, USCIS will continue to conduct background and security checks on each applicant and may deny an application at their discretion. If the Department of State finds that the applicant is ineligible for an immigrant visa or is inadmissible on any other grounds other than the accrual of unlawful presence, the approval of the provisional waiver application will be automatically revoked. In other words, if you are inadmissible on any other grounds other than unlawful presence, you must first file either the I-212 application or I-601 application (whichever is applicable) for these “other” grounds and receive conditional approval before applying for a provisional waiver of unlawful presence. Applicants with inadmissibility and/or criminal issues must seek counsel from an experienced immigration attorney to carefully examine their immigration and criminal history to ensure that all grounds of inadmissibility have been properly investigated and eliminated before filing of the provisional waiver. It is strongly recommended that applicants obtain FOIA requests of all immigration records, submit fingerprints to the FBI, and obtain all arrest and court records before filing.